Vinotopia is an independent wine merchant looking to put a modern spin on the centuries old tradition. 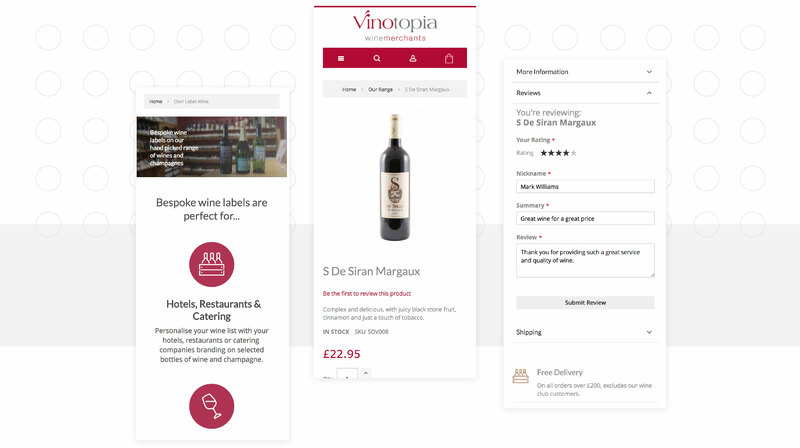 Buying wine should be one of life’s greatest pleasures, and Vinotopia turned to magic42 and Magento 2 to deliver that pleasure to their customers. 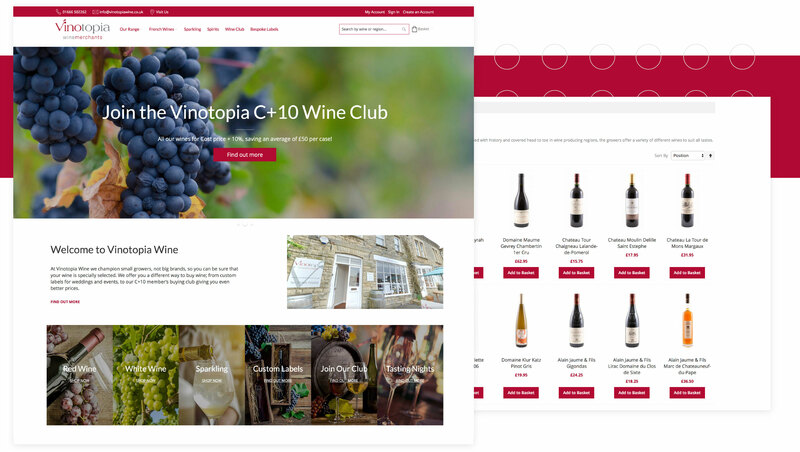 While Vinotopia’s previous site had seen great success in its day, their platform had started to show its age for both customers and backend users. A full migration of all their categories and products was required, with magic42 handling the mapping and creation of attributes to match Magento’s configuration. Taking full advantage of Magento 2’s responsive capabilities, magic42 worked alongside Vinotopia’s design team to create a site that not only looks great, but is easy to use across all devices. Magento 2 provides plenty of great features out of the box, but where it truly shines is in its ability to be customised to meet your business’ needs. Below are a few of the bespoke elements magic42 included in the build for Vinotopia. Wanting to provide all of the benefits of their website to their in-store customers, as well as managing orders across a single system was critical for Vinotopia’s omnichannel experience. magic42 handled the integration of Ebizmarts POS technology and Magento 2. Vinotopia’s site features advanced shipping options relating to the amount of bottles ordered, the overall cost of the order, and where the delivery is going. This is made clear throughout the checkout, ensuring customers are always aware of what they’ll be paying. SagePay is one of the leading payment providers in the UK, allowing businesses to securely process credit and debit cards – feeding directly into their internal accounts system for ultimate ease of use and transparency with orders.